I think we would all agree on how we all loved watching the six main characters on F.R.I.E.N.D.S spend time winning and losing on a table game called foosball. Some of those foosball games scenes made me want to learn how to play foosball. However, despite my love for table games, I was not really good at it in the beginning. I was overshadowed by the experienced and the talented people around me. I thought to myself whether I can become better at it or not. That is when I met my foosball guru who taught me how to play table football and changed my life. Playing foosball might seem easy at the beginning but it is kind of difficult. My mistake was I thought that foosball table setup was just as easy as any other table game. 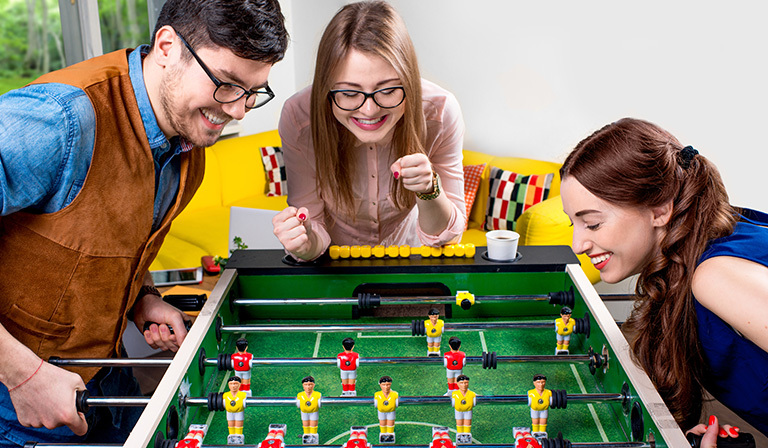 Since I knew the rules of football, the game on which foosball is based, I thought foosball would be a piece of cake. I was so wrong. 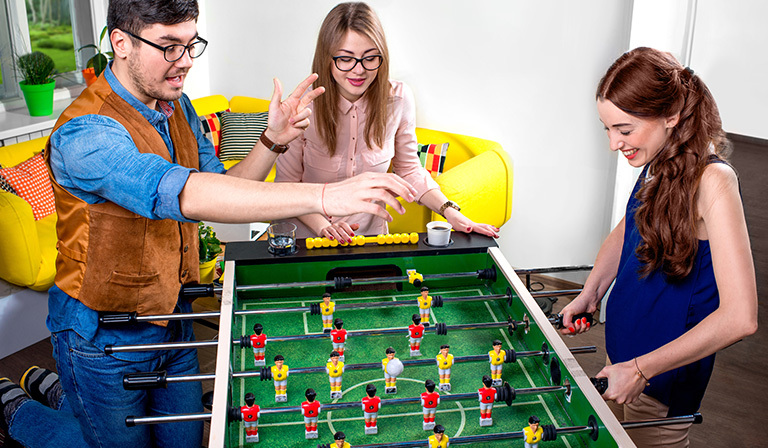 Just so that you do not fall into this trap, you should know the basic official foosball rules and how it is played. If someone asked me what the basic rules of foosball are, I would say there are six of them. 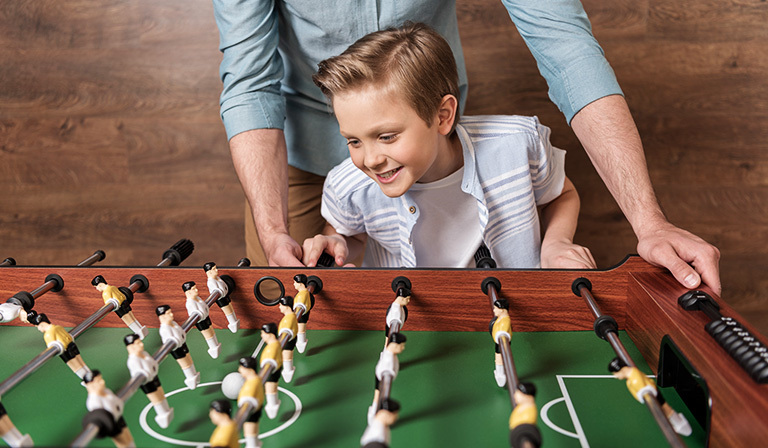 You will need to remember these well if you really want to play a fair game of foosball with your family and friends. 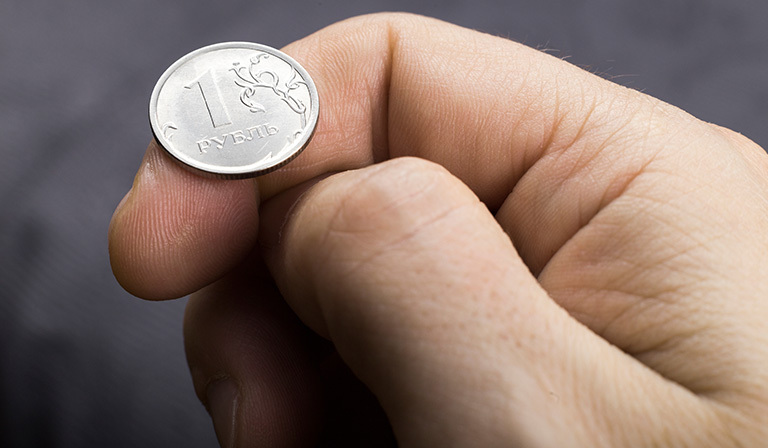 Flipping a coin is the basic rule for any game. Doing this determines who starts the game first. The team that manages to score the first goal does not get to serve next. The opposite team would serve. For a goal to be legal, it has to be touched by a man before getting into the goal post. Spinning is considered illegal. If you rotate the rod totally 360 degrees in the game without touching any ball it is an illegal move. Some top rated foosball table can lock 360 spinning which is a great feature to stop this move. Jarring is also illegal. You just cannot slam your side of the rods on to your opponent’s side of the table with the intention to get the ball away from your opponent. Your opponent may move rods back and forth in an attempt of defense but as long as your side of the table is not slammed it is not considered jarring. Dead ball is a ball that stops in between the game. The ball should be picked up by the team that was last scored on. If somehow the ball stops near the defensive side, the defense picks up the ball and moves it back into the playing field so that other players can pick the ball up. If the ball gets out of the table somehow or touches the top of the table and comes back to the field, that ball is ruled out. The team last scored on gets to serve the ball next. There is a special rule only for the foosball 5 bar. This is a passing rule that cannot be applied for other rods. After an initial serve, you have to pass your ball from the 5 bar to 3 bar directly, within ten seconds with the ball touching two men before reaching the 3 bar. 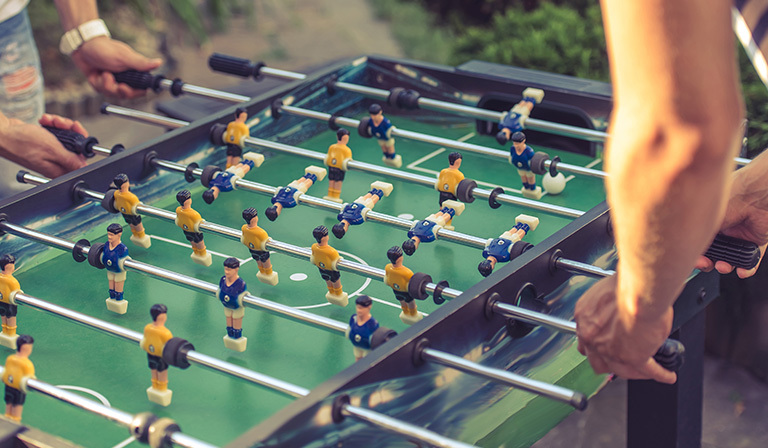 Now that you know the basics, you should know how competitive foosball is organized. Foosball competition and organization are both easy. The organization is similar to a real-life football tournament. There would be two teams, with each team containing one (singles tournament) or two (doubles tournament) foosball player. Each team gets to control four rows of foos men. The table below shows exactly how these rows are organized and what their purposes are in a foosball setup. The team that wins the coin toss gets to serve or ‘drop’ the ball. There are no rules stating that serving to your own men is illegal. This why learning how to serve is extremely important so that the ball can remain in your favor. If you manage to ace the serve, you will get immediate control over the game. Take the ball in your right hand and cover the serving hole with the left hand. Then put the ball in the serving hole. Your thumb should be on top of the ball. Take the 5-bar rod with your left hand and simultaneously spin the ball counterclockwise and release it into the field. Then use the 5-bar rod to pass the ball and start the game. 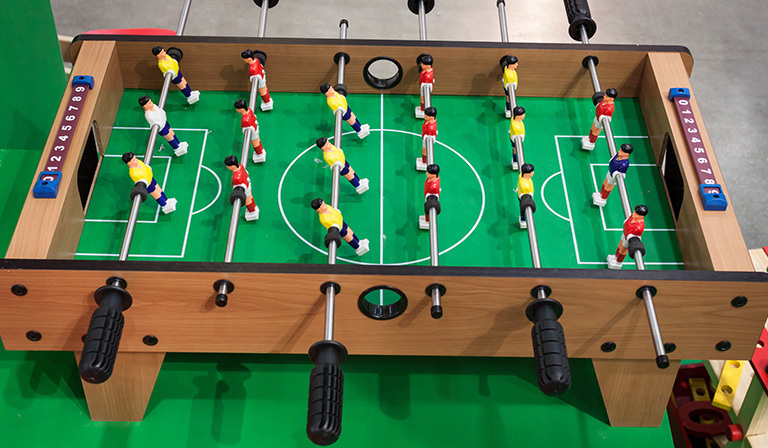 According to the foosball scoring rules goal scored by placing the ball in the serving hole and spinning it is considered legal. Serving the ball in a way that favors you takes a lot of practice so keep practicing to get the aim right. 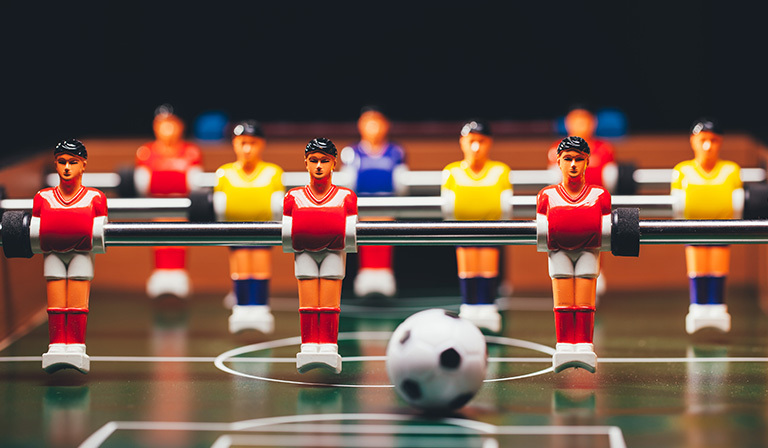 Learn the various kinds of passes done in tournaments to ensure that you are not one to be underestimated in a foosball tournament. You cannot master these ideas right at the start. You will lose, then practice then again lose and continue to practice until at one point you do actually win. The brush pass is done on the 5 bar, where you tilt your foos man in a position that it barely brushes the ball against the table wall so that it can move side to side. The ball brushes past another foos man in the same rod and then hits the 3 bar. Passing laterally from one man to another on the same rod takes skill. This is mostly done in the 3 bar where the offense foos men pass each other ball without losing it. This can come of advantage. You can trick your opponent into thinking you are just passing but then you go ahead to make an unexpected shot at the goal! The tic tac pass does not require your man on the 5 bar to tilt. The ball is just passed back and forth very rapidly and then passed to the 3 bar without your opponent noticing. You catch a ball when you stop it from moving freely or from a pass. There are many ways of doing this, but doing it is extremely important so that you can attain control over the ball. You should tilt your bar in such a way that the foos men tilt at an angle somewhat between 35 to 45 degrees. Men standing straight cannot catch the ball so easily compared to the tilted ones. Even if your men are tilted the rod might need to be adjusted to make a proper catch. Try to catch the ball by pinning it against the table. This can easily be done while making a 5 bar to 3 bar pass. You will not need a pass to catch the ball all the time. Learn your opponent’s offensive passing patterns and react accordingly. Also remember, practice makes perfect! Most beginners make the mistake by trying to go offense mode on the opponent, but a practical method of winning is to first learn how to defend. The defending foos men are there for a reason! Your defensemen should be tilted inwards to prevent a ball from sliding past under. Follow the ball’s movement at every moment of the game. Do not lose sight of it. You can prevent yourself from getting distracted by constantly moving your men, especially the ones on offense row. You have two defense rods which you need to work on by treating them as a single unit. The men on these rods should be tilted and positioned into a formation so that there is a little gap between the men, too small for the ball to pass. This will allow you to catch the ball. If you can, try to use both defense rods at the same time with your pinkie finger and thumb. If your opponent ends up making a shot that will obviously hit a table allow that to happen. Do not try to prevent that because this would mean you lose your chance to get a catch. There is also a risk of accidentally passing the ball to your own goal, scoring a goal for your opponent actually. Try to confuse your opponent with random defense patterns. Too repeated patterns will give your opponent an advantage to score a goal through your tactics. Your center foos man on 3 rod defense should not be used to score a goal. That man is directly in front of the opponent’s goal and making such a shot is too predictable. Use this man to position and block other shots and try to aim towards the goal with unpredictable patterns. The goal post has five holes, but the post does not need full protection or coverage. Position your men in such a way that they do indeed protect the edges of the goal but do not stay there for long. Mix and match positions so that your opponent has a hard time focusing on what angle is needed to make a goal shot. 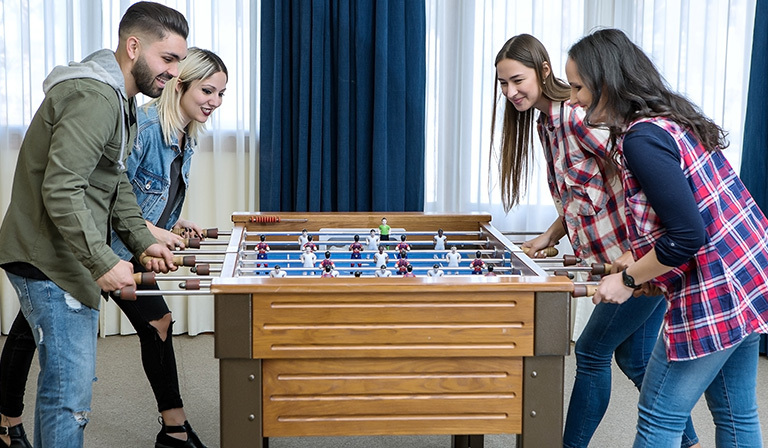 Foosball is indeed a great recreational table sport, much popular especially during university recess or office lunch breaks. The great advantage of foosball is it gives you the feel of playing a football game right at the comfort of your own home. It is just as exciting and thrilling as the real game and requires a lot of practice and focus. 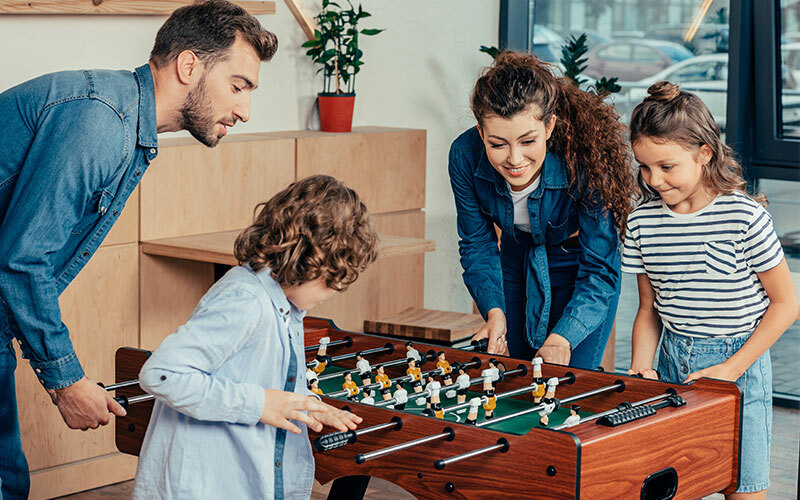 Foosball originated at a time when football was becoming increasingly popular in European regions during the early 1900s and since then it never looked back. 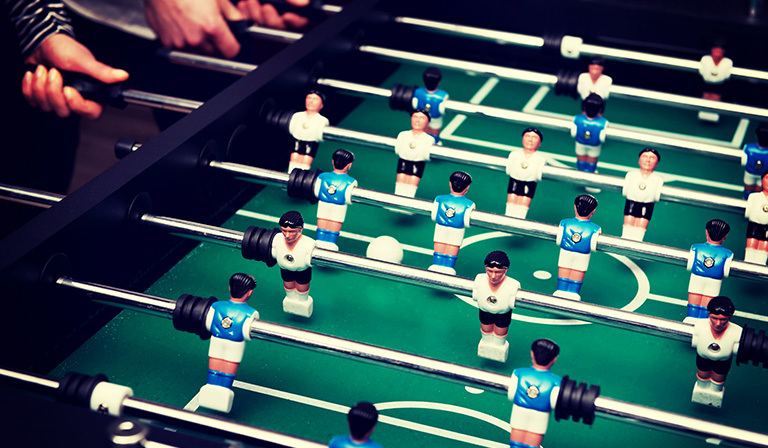 Harold Searles Thornton supposedly invented foosball after seeing a strange vision where he saw matchsticks on top of a soccer field, which was actually the upper side of a matchbox. 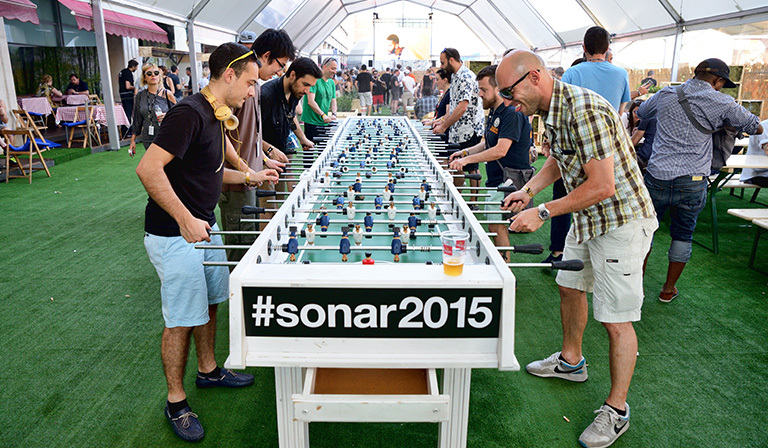 After he patented foosball, there has been an emergence of various international tournaments. The game has very few rules and can be played by anyone irrespective of age and gender or physical disabilities. It is an exciting way of spending time with family and friends as well. 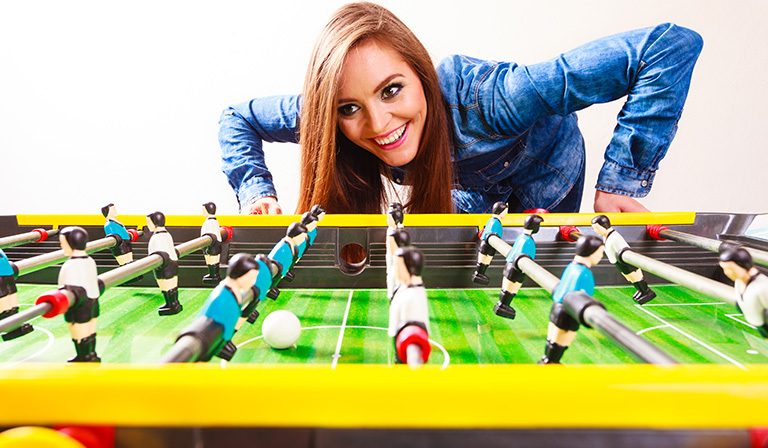 Unleash the excitement in you, now that you are ready to participate in your first foosball match.